Permanent tooth loss can result from a variety of causes, from injury or accident to natural tooth loss to personal choices. But they all have one thing in common: the need for replacement teeth, both for you to look your best and to be able to chew and talk normally. At Napa Valley Dental Centre - Kleinburg Dentistry, we offer denture services for both full and partial sets. A full denture set replaces the entire mouth of teeth, while a partial denture attaches to existing teeth to fill the missing spaces. Both types of denture are removable for ease of cleaning and maintenance. Dentures are custom-made for you, with an acrylic base that fits over your gums and the false teeth imbedded in the frame. The bottom denture fits only over your bottom gums to leave room for the tongue, while the upper denture also covers the roof of your mouth. Partial dentures are made in the same fashion, with the replacement teeth attached to a metal frame, but are fitted to attach to existing teeth on either side of the open space. 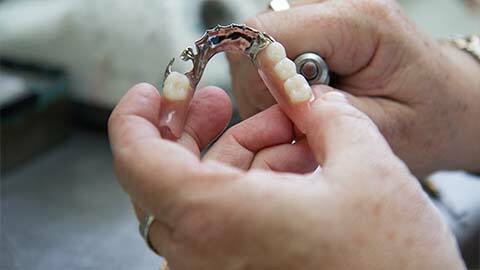 Today’s dentures are better-fitting than ever, thanks to advances in denture technology. When you are fitted for your dentures, an impression is made of your mouth and the frame is constructed to fit your mouth snugly. 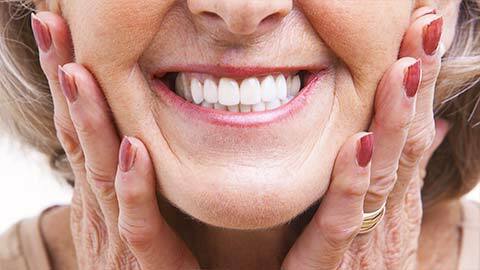 Though it may take some time to get used to your dentures, modern advances mean they look and feel better than ever. When you need a full or partial denture, Napa Valley Dental Centre - Kleinburg Dentistry should be your first stop. We’ll talk over what kind of denture is best for you, and have you smiling again. If you need more information about Dentures in Kleinburg, contact us today.